Are you looking for harmonica lessons in Keene? My name is Tad Dreis, and I’m a harmonica teacher located just off of Central Square in downtown Keene, NH. 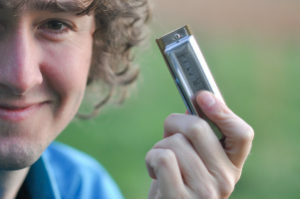 If you live too far away to study in person, I also offer Skype harmonica lessons and have created a series of Downloadable Harmonica Lesson Videos. I’ve taught music lessons professionally for seventeen years and I’m happy to work with both kids and adults. Thanks for stopping by, and I look forward to talking harp with you!